Sometimes there's so much water dripping from a pipe that you're sure there must be a leak somewhere. On closer examination, however, you may discover there is no leak but rather sweating, or condensation, on the pipe. Sweating occurs when the water inside the pipe is much colder than surrounding humid air. During the summer, the surrounding air is naturally hot; in winter, the air is heated by the furnace. 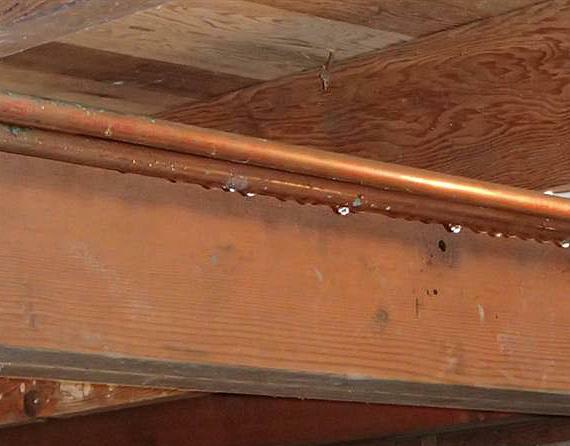 In either case, when warm, humid air reaches cold pipes, drops of moisture form and drip as if there was a tiny hole in the pipe.